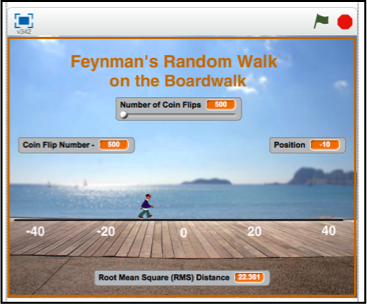 The famous physicist Richard Feynman is performing a random walk on the integer number line. Starting at position 0, he flips a coin. If it's heads, he takes one step to the right or, if tails, one step to the left, and flips again and again until a preset number of flips have been completed. He then marks his position. This type of random walk is called a Symmetric Random Walk on the 1-D Lattice. It's symmetric because the transition probability from left-to-right is 0.5. Most people think the most probable position to end a walk is 0, where the walk began. They reason that if the probability is 50-50, the walk should end on or near the origin. In The Feynman Lectures on Physics, Volume 1, Chapter 6, Probability, physicist Richard Feynman proves the amazing fact that for the random walk described above, the random walk is 'most likely' to end at the position marked by the 'square root of the number of steps in the walk'! If n is the number of steps in the walk, then the most probable end point of the walk is √(n). This Scratch project allows you to explore a simulation that should convince you of the truth of his finding. 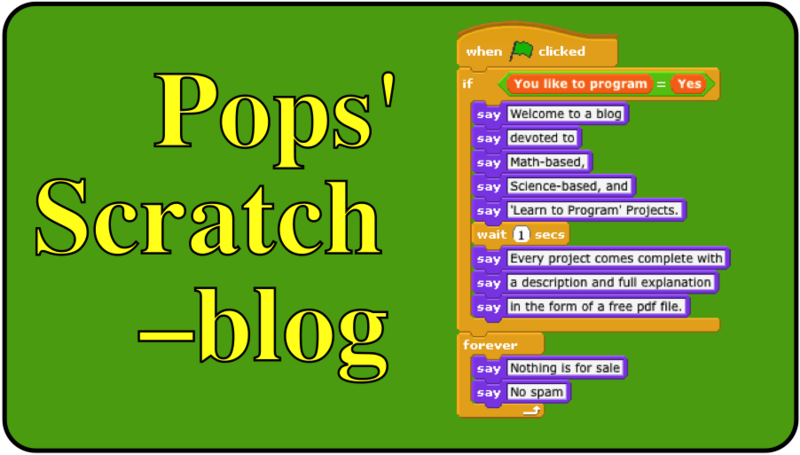 Click on the following link to view and use the Scratch project. Set the Number of coin flips slider to a value from 500 to 1000 flips. Click on the green flag, run in Turbo if you want to speed up the random walk. Compare the position of the walker to the RMS distance prediction. A derivation of the Root Mean Square law (PDF format) can be obtained (free) by sending an email to grandadscience@gmail.com.